Meet and greet, transfer to Ngaresero Safari Lodge for dinner and overnight. 0930 Hrs. After your breakfast; by flight, depart from Arusha to Serengeti National Park. 1400 Hrs. Evening game drive in Serengeti National Park to return in the evening for dinner and overnight at Serengeti Serena Safari Lodge. 0930 Hrs. Return to lodge for breakfast and relax at Leisure. 1400 Hrs. Afternoon game in Serengeti, to return in the evening for dinner and overnight at Serengeti Serena Safari Lodge. Day 3: Central Serengeti 0830 Hrs. 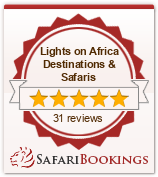 After your breakfast; depart from your lodge for game drive in Serengeti National Park. 1200 Hrs. Lunch will be served at your Lodge. 1300 Hrs. Drive to Ngorongoro Conservation Area. It is your “Option” whether you pass by Olduvai Gorge a historical site whereby the early man lived and can also pass by the Maasai boma if you are interested in the real African life tradition and culture. Dinner and overnight at Ngorongoro Serena Safari Lodge. 0730 Hrs. After breakfast, drive and descend into the crater floor with your lunch box for game viewing. The famous Ngorongoro Crater is rich of wildlife, each species have their own territories. 1400 Hrs. Ascend the Crater and drive to Arusha. The rest of the days will be on your own arrangement. Or Transfer to Kilimanjaro Airport for your flight back home. – Mineral water 1.5lt per person per day. – Salary for the Professional English Drive Guide. – Hot and cold drinks. – Tips to the driver/guide and Cook. – And all not mentioned in the itinerary above.